Park Sun Ja (Kim Hae Sook) runs a small beep soup restaurant and has three daughters, who are now adults. Her oldest daughter Mi Sun (Yoo Seon) is married and has a child. She works hard and takes care of her family. Second daughter Mi Ri (Kim So Yeon) is very confident and hardworking. 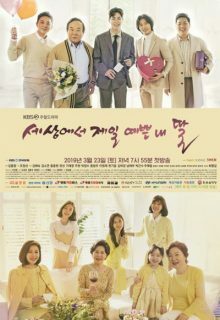 She falls in love with her colleague, Tae Joo, who actually is the youngest son of the family that owns the company.The youngest daughter Mi He (Kim Ha Kyung) was once a budding writer, but now she helps her mother run the restaurant.